We are very blessed to be able to offer and participate in a variety of ministries in which we work hard to glorify God, enrich & encourage each other in Christ, and do our part to help our communities. While we’re always on the look out for other ministries we can either host or participate in, we also believe in doing fewer things well, which ensures we can always have the necessary people & resources for our ministries as well as keep people from getting burnt out. Read a little bit about some of our ministries below and click on the links for more information about them. 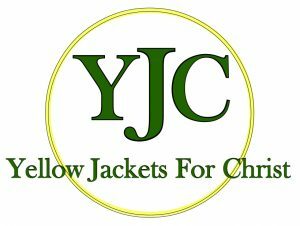 We support the Yellow Jackets for Christ Campus Ministry run on the grounds of Black Hills State University. Click the link to find out more! We’re happy to host Amazing Grace Preschool out of our building. Click the link to find out more about the preschool & enrollment information. 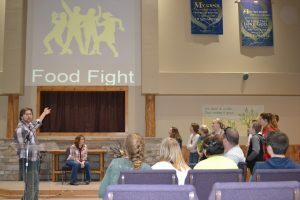 One of our main ministries for our youth is Leadership Training for Christ. Designed to help our children find & explore areas of giftedness to serve God, this ministry culminates every year in a trip to the Heart of America Leadership Training for Christ Convention in Kansas City. Click the link to find out more! Throughout the school year different chefs take on Midweek Manna, which is a meal we share before Wednesday night service. 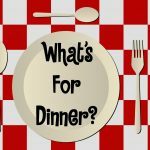 Manna means “what is it,” and it’s very appropriate for this night: we know who’s making dinner, but we don’t know what! It’s an awesome way for different people & families to serve and for all of us to share a meal together to encourage & spend time together in the middle of the week. It’s open for all for $3 to reimburse the cooks! 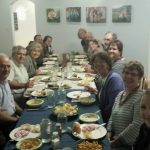 Many of us also share our recipes we make for Manna, potlucks, & other events which you can find here! Once a month phone calls & texts go out to see who wants to go to dinner at a host’s house, except the host doesn’t know their coming. Well, the host knows how many are coming, but they don’t know who’s coming until they show up! Guess Who’s Coming to Dinner is a favorite event of many and is always so much fun to share a meal with people you didn’t expect to that day. Usually held on the last Saturday of the month, contact Amy or Kathy S. if you’d like to be involved! Check out our calendar for upcoming dates! 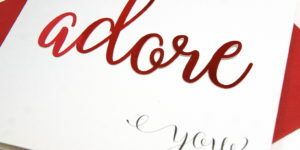 Every February near Valentine’s Day we host a Sweetheart Banquet for anyone who would like to come. 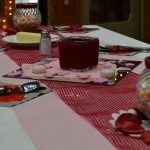 Often a donation fundraiser for LTC (as our LTC kids serve the meal) its a night of good food, fun games, prizes & fun together in celebrating our marriages. Also every February we host a youth Rally for area middle & high schoolers. 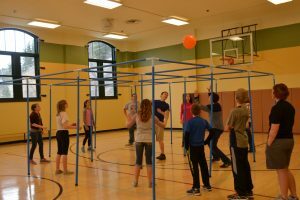 This last year’s rally was “The Irresistible Revolution” based of the book by the same name by Shane Claiborne, & included tons of activities, games & fun! Check out our home page & events calendar for updates when the time comes closer. Last year we hosted our first of what we plan to be annual Ladies Day on February 6th. Check back for more information when February approaches and check out last year’s speakers here! We’re always excited about the week of Black Hills Bible Camp. It really is a week of heaven on earth, and is open for 2nd graders – high school. Check out BHBC’s website for more information. 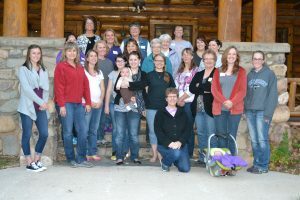 Every September women from around the area head to Kamp Kinship in the Black Hills for a weekend of theology, renewal, & fellowship. Check out our calendar for more info & updates.